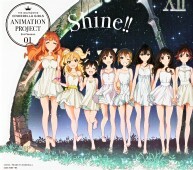 The IDOLM@STER Cinderella Girls Animation Project 2nd Season 01 Shine! 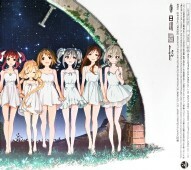 This CD+BD package contains the opening song to the TV anime The IDOLM@STER Cinderella Girls 2nd Season. "Shine!!" and "Onegai! Cinderella" sung by Cinderella Project, "Todoke! Idol" sung by Shimamura Uzuki, Shibya Rin, Honda Mio, Futaba Anzu, and Moroboshi Kirari. The cast of Cinderella Project is as follows.